Which Brands of Corn Flakes Are Gluten-Free? Even though corn by itself doesn't contain the type of gluten that can make you feel bloated, constipated, or otherwise sick if you're allergic to gluten or gluten sensitive, most brands of corn flakes aren't safe for those following a gluten-free diet. That's because the cereals contain ingredients—usually barley malt sweetener—that contain gluten, a protein found in some grains. For instance, Kellogg's Corn Flakes cereal, a perennial breakfast favorite, includes "malt flavoring" as its third ingredient. Sadly, for those who enjoy that cereal, malt flavoring contains gluten in the form of barley, which places Kellogg's Corn Flakes on the "no" list for people who have celiac disease or non-celiac gluten sensitivity. EnviroKidz Amazon Flakes: Bite for bite, this is the closest you're going to come to Kellogg's Corn Flakes. Manufactured by Nature's Path (which makes all EnviroKidz cereals and other products), these corn flakes are made with certified organic cornmeal plus pure cane sugar. They're certified gluten-free by the Gluten-Free Certification Organization (GFCO), which inspects manufacturing facilities. Erewhon Corn Flakes: This cereal isn't a direct replacement for your über-sweetened traditional corn flakes—Erewhon Corn Flakes, made by Attune Foods, don't contain any added sweetener at all. The only two ingredients are organic milled corn and sea salt, added, according to the manufacturer, to "enhance the subtle sweetness of the corn." The cereal is certified gluten-free by the GFCO and is also certified non-GMO and organic. Nature's Path Corn Flakes: These cork flakes are organic and sweetened with fruit juice (grape and/or pear juices), not sugar. As a result, you may find this cereal is slightly less sweet and has a somewhat different texture than the corn flakes you're accustomed to eating. They're certified gluten-free by the GFCO and are also certified non-GMO and organic. Nature's Path Honey'd Corn Flakes: If the brand's fruit juice-sweetened corn flakes don't appeal to you, you might prefer these, which use honey and evaporated cane juice. Otherwise, they include the same ingredients as the fruit juice-sweetened corn flakes and offer the same certifications. If you're looking for a gluten-free corn flakes option in a mainstream cereal brand that you can find in most grocery stores, the pickings are slim. The one option that may fill your craving for sweet corn is General Mills' Corn Chex. Seven of the eight varieties of General Mills' Chex cereals—including corn, chocolate, cinnamon, honey nut, and rice Chex—are considered gluten-free. 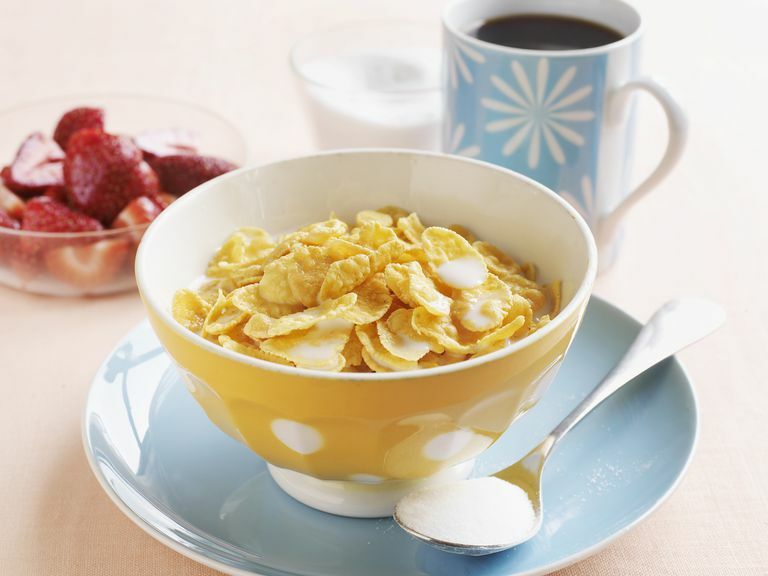 Lovers of corn flakes may not have all the options they'd like on the gluten-free diet, but hopefully, you'll find a cereal you'll enjoy. Celiac Disease Foundation. Sources of Gluten. 2017. Kellogg's Corn Flakes Cereal. SmartLabel.